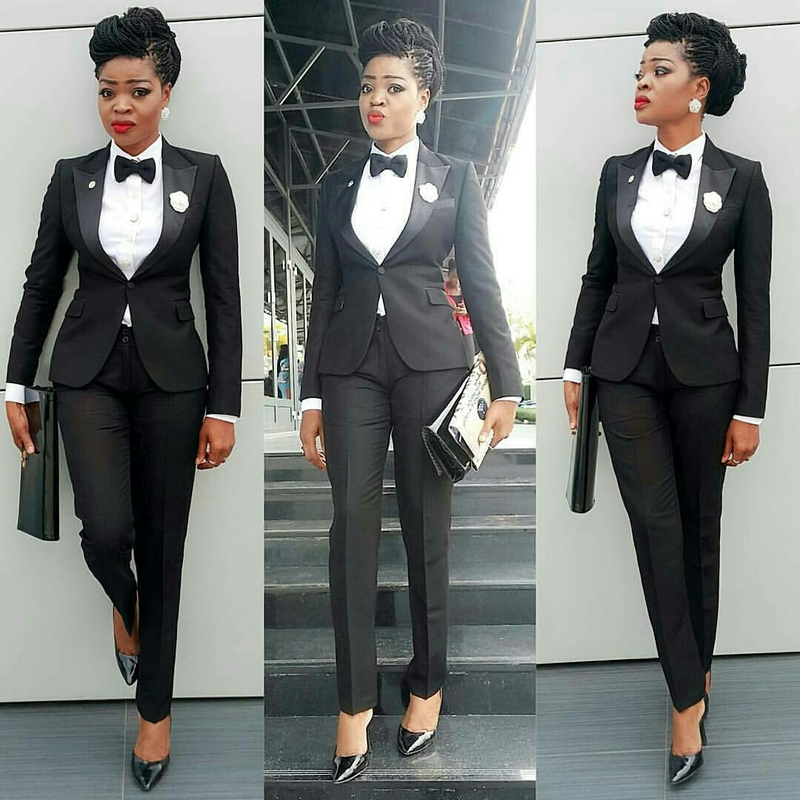 Keep It Fitted: The tuxedo trend is all about embracing tailored looks, so make sure that when you’re pulling off the tuxedo trend that all your pieces are well fitted. When looking at how to wear tuxedo trend clothing, go for slim cut trousers and fitted blazers to really make this look work. Stick To Seperates: If you’re not keen on an all-out tuxedo look, stick to separates instead. 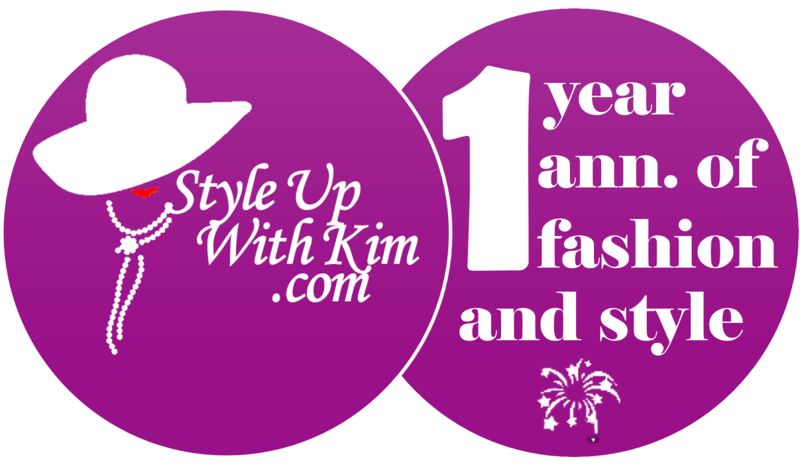 Pair a chic white tuxedo blazer with black leather trousers or a floaty chiffon dress. Alternatively, team some tuxedo trousers with a silky blouse and layered necklaces for a stylish look. Wear Heels: Spice up your basic tuxedo with a killer stiletto heel. When it comes to how to wear the tuxedo trend, a heeled shoe will add a feminine touch and make the tuxedo look much more glamorous. An almond toe or pointed pump is timeless whereas a strappy heel can be much more modern. Make It Monochrome: Tuxedos look extra sleek when worn in a monochrome colour palette. Black on black is quite usual but if you’re feeling adventurous a white on white tuxedo can look fresh and stylish. Just be sure not to spill any food on a white tuxedo otherwise you are going to ruin the whole idea! Add Colour: A tuxedo can be a bit of a blank canvas so give some life to your look with some colour. You could go for beauty touches like a colourful lipstick or manicure, or maybe with accessories like a colourful clutch or heels. When it comes to how to wear tuxedo trend clothing, adding a shot of colour is a stylish way to make a statement. Add Touches Of Lace: Channel your inner femme fatale by teaming your tuxedo with lace pieces. Instead of a plain blouse, wear a lace camisole or bodice under your tuxedo jacket. A hint of lace peeking out from your tuxedo jacket looks stylish and seductive. Play With Texture: This season try wearing a tuxedo jacket in an interesting texture: A lush velvet tuxedo jacket can give you a sense of opulence whereas a sequined number can come across as more playful or try a suede tuxedo outfit, you'd be wowed at what it will come out as. There are plenty of ways to make the tuxedo trend work for you. 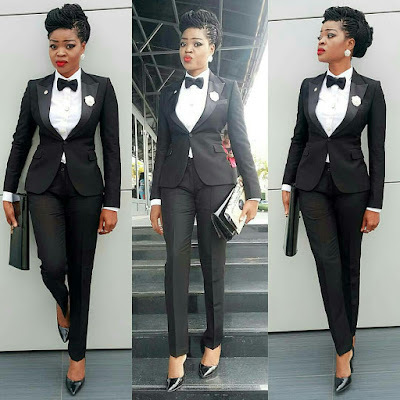 When it comes to how to wear tuxedo trend clothing, separates are great for a more subtle nod to the trend while a full tuxedo just screams glamour.